HnS stands for Hair and Skin. At Love Thy HnS, we are constantly working on building a company that provides Canadians with wonderful naturally inspired products and excellent customer service. We are also working on building your confidence and knowledge by helping you to embrace, care for and love the hair and skin you are in. 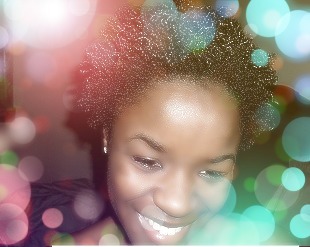 Founded in 2009, Lovethyhns.ca is your Canadian beauty shop for textured hair and dry skin. We specialize in carrying top of the line niche brands that are not readily available in stores. These lines rise above mass marketed brands with their unparalleled results, uniqueness, and superior quality. A pioneer in our field, we are the very first online boutique based in the province of Quebec to provide Canadians with textured hair, with a high quality selection of naturally inspired hair care and skin care products. We are proud to be the first vendor to have introduced brands such as Blended Beauty, Shea Moisture, Curl Junkie, Jessicurl, Jane Carter Solution, Cush Cosmetics, Nubian Heritage, Bobeam, Donna Marie, Eden BodyWorks, Soultanicals, My Honey Child, Bekura, Hydratherma Naturals, Hot Head, Q-Redew only to name a few, to the Quebec Market for the very first time. The skin being the largest organ we have, we believe that it does matter what we put on it. We are proud to offer our customers, with a wide selection of products that have been proven to only use top quality ingredients. All of our products, are naturally inspired. With the ever so growing natural and organic market, we understand that it has become quite a challenge to choose the right products for your hair and skin;therefore, we've done all the research for you. We provide you with only the best naturally inspired products that are available today on the market. How do we know? we've tested every single one of them before we decided to make them available to you. At Love Thy HnS, we will never blindly sell a product that has not been first tested and approved by us, our friends and family. We know every single one of our products, and we believe that healthy hair and skin begins with getting informed, using the right products for your hair and skin, and maintaining an overall healthy lifestyle. Back in 2001, I transitioned from relaxed hair to natural hair out of curiosity (because sadly, I had no idea how my natural hair looked like, and because I was experiencing breakage on a regular basis). Because of a lack of ressources and no apparent online or local stores in the province of Quebec specialized in textured hair care using quality products, I had to resort to the Internet to inform myself on how to properly care for my natural hair. I thought to myself that there was a certain neglect in that, I could not find a single product that was designed specifically for my hair type and that did not contain a long list of questionable ingredients. Along my journey, as the years went by, I found some good US hair care brands (online) and finally, one incredible Canadian brand in particular, I was thrilled! Not only it was a Canadian brand, but the products were really making a positive difference in my hair care regimen. As I was extremely satisfied with the results, I had to share my discovery with Canadian textured women who were struggling to care for their hair as well as their kids hair. Fast forward a few years later and Love Thy HnS was founded in 2009. I initially started to offer this wonderful Canadian brand (Blended Beauty) to my customers and today, Love Thy HnS offers over fifteen brands and over 200 products to its customers. Along the years, I've looked at countless youtube videos, read many blogs and books, met wonderful people and explored and personally tested many fantastic brands. I offer you Love Thy HnS, it is the result of continued research, and it was founded out of a strong desire to help Canadians like me, embrace their textured hair and care for their hair and skin using products that can only be described as being simply fantastic and unique.